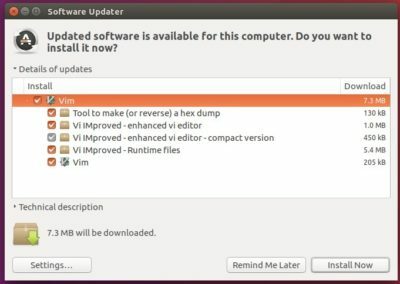 Vim (Vi Improved) text editor has reached the 8.0 release, the first major Vim release in ten years. Here’s how to install it in Ubuntu 16.04, Ubuntu 14.04 via PPA. 2. 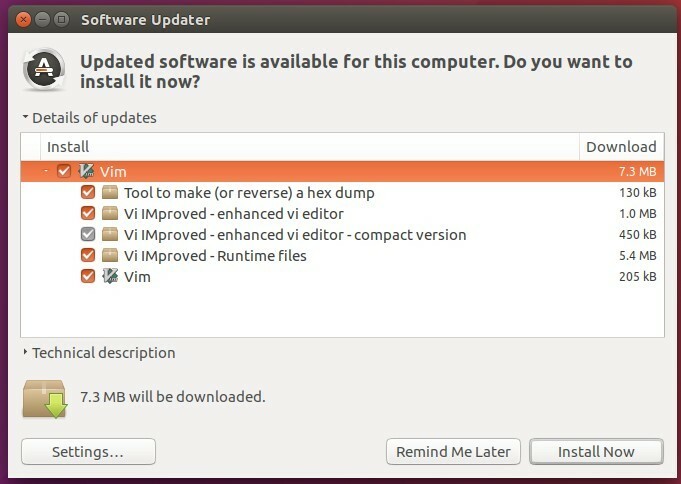 To upgrade from a previous release, launch Software Updater and you’re able to upgrade it after checking for updates. To check out Vim version, run command vim –version. thanks. working in mint 18.
seems like many of my normal key mappings are not working correctly in vim8. Anyone else noticed this and know how to fix it? Are you planning to frequently update the ppa? I’m not the PPA maintainer, but you can get the maintainer’s email at https://launchpad.net/~jonathonf (need login). The guy is maintaining a lot of PPAs with useful apps which are either not yet available in the Ubuntu repositories or the Ubuntu repositories only provide an old version. I’ve already contacted him, and the ppa was updated today so I’m good :). Does anybody now how to launch gvim with vim 8.0? It seems it is compiled without python support.